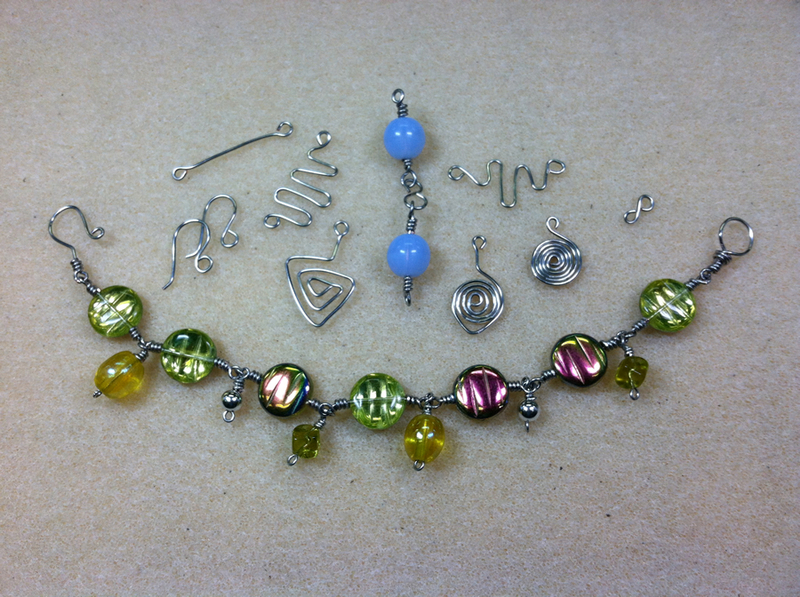 This introductory class is perfect for beginner jewelers who have never worked with wire, as well as those who say they will never work with wire again! 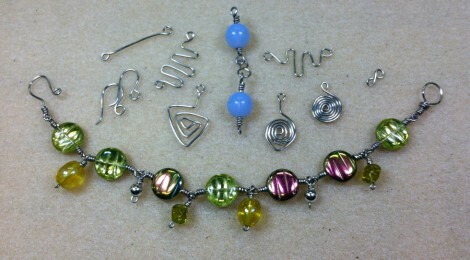 Students will learn all of the basic components to make most pieces – loops, spirals, squiggles, toggles and ear wires – and will make a simple bead link bracelet. Basic information about gauge, tools and finishing will also be provided. Provided: Instructions. Some tools will be available for use during class. 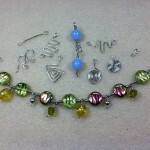 Bring: 18 and 20-gauge wire (any color), 6-10mm beads, enough to span your wrist with a wire in between (any shape--pearls, 22 gauge headpins, glass, clay, wood, gemstones, a selection of coordinating beads to use as dangles - seed beads, crystals,drops) -- all of your beads must fit on your wire; wireworking tools including chain nose pliers, flat or bent nose pliers, round nose pliers and wire cutters--other tools will be available for use during class.